Supply and demand in the potato industry requires excellent logistical planning and the flexibility to meet the requirements of customers, often at short notice. For years, AKP has successfully met these demands through our well established and dedicated logistics operation. Our distribution arm boasts a fleet of eight branded lorries with a range of associated trailers. Having our own bulk trailers, curtain-sided trailers and refrigerated trailers ensures that we always meet the individual needs of our customers. 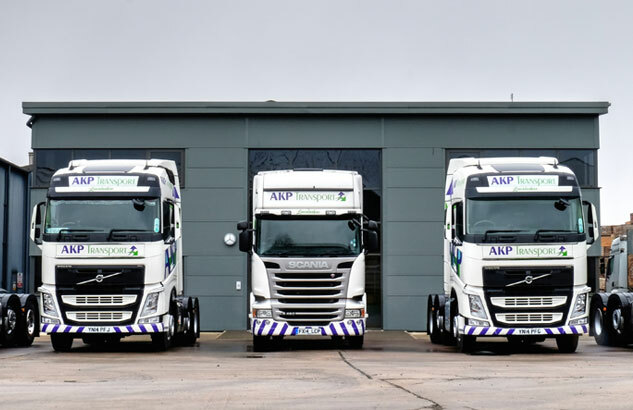 AKP lorries can be seen carrying out many tasks throughout the potato season from delivering seed potatoes, to hauling from farm to store, to delivering the end product to our customer network. Our distribution service is available to all of our growers and customers, and is managed by a dedicated logistics manager. All of our vehicles are fitted with a computerised tracking system which enables us to monitor exactly where our vehicles are and means that we are able to provide growers and customers with accurate updates if needed.